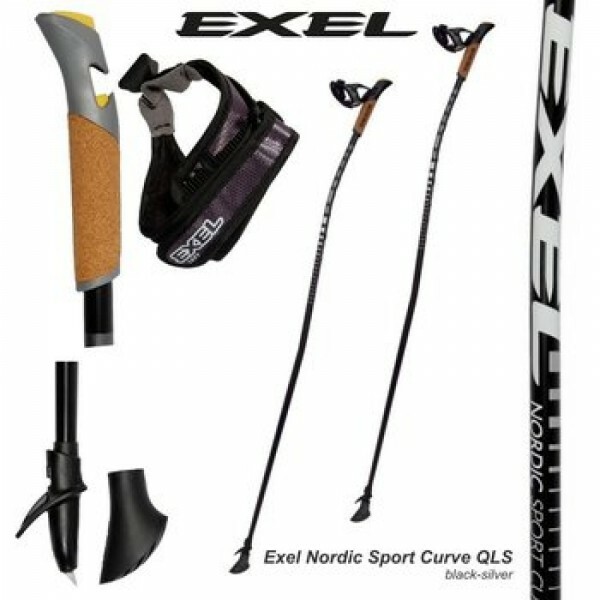 The Exel Nordic Sport Curve makes efficient Nordic Walking possible on each terrain thanks to the Curve technology and a smart, detachable QLS strap system. The stock body is curved and provides an optimal shock absorption. The light and bent Aero Tip 2 offers maximum grip on soft and hard floors. The innovative Curve technology provides a higher strength development in the push phase and makes an efficient, individual training possible.